Jurupa Radiator and Auto Repair is a small, independent, and family-owned business that handles auto repair service in Riverside, CA. We have been in the business since the 1960s which makes us very experienced and knowledgeable about automotive repairs. 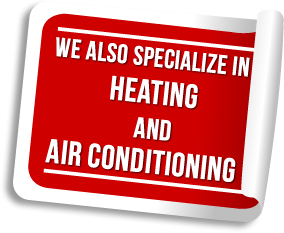 During the years that we have been in service, we have honed our skill to becoming experts on radiators, brakes, and engine repairs. We proudly serve the metropolitan area inside the Inland Empire, namely Jurupa, Norco, Corona, Ontario, Rubidoux, Moreno Valley, Redlands, Fontana, Chino, Pomona, Colton, San Bernardino, Perris, Beaumont, Mira Loma, in the state of California, USA. We are fully-licensed and our mechanics have a National Institute for Automotive Service Excellence (ASE) certification. The fact our mechanics possess good credentials show that we provide quality and trusted services. We are also insured and are aware of liabilities which is an edge since it ensures that the team will do auto repair works with all honesty and you can feel secure. We offer services on Auto Repair, Transmission Rebuilding, Timing Belt, Water Pump, Power Windows, Electrical Repair, Check Engine Lights, Tune Ups, Heater Core Replacement, Radiator Repair and Replacement and Heating and Air Conditioning. Although we are very professional, we are just as friendly and we never fail to show a positive attitude toward our customers. We offer reasonable prices for our automotive services and we make sure that we get the job done right. We listen to the requests of our customers and do only the service they need; we are not assertive about any additional offers. Give us a call now for a free estimate before doing any auto or engine repair, to get an idea on possible costs. You can also avail of a 10% discount if you are a new customer. We offer EXPERT SERVICES in Auto Repair, Transmission Rebuilding, Timing Belt, Water Pump, Power Windows, Electrical Repair, Check Engine Lights, Tune Ups, Heater Core Replacement, Radiator Repair and Replacement and Heating and Air Conditioning.